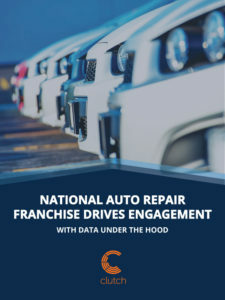 Like a lot of businesses, our client – a national automotive repair franchise – struggled to get their arms around all of the data they collected. With over 900 locations, the international car care giant relied on promotions to get customers in the door, often using costly direct mail campaigns to reach their target market. See where you can take your business in a year—or less.